So, I have this preview access to the ‘First annual Sand and Sea Expo‘ and had a look around today. The Expo will open to the public today at 3AM SLT, and as far as I have seen..it is worth a visit if you are looking for beachwear, boats, furniture and all things for summer! Being an ‘official’ blogger, heh, means I do not only have a sneak preview, but apparently I also get to get all the ‘beach combers event‘ items. Now, I have picked up some (from What Next and ANA, but have to unpack them yet) and in meanwhile, whilst it was still quiet I shopped around a bit and bought myself a ‘camo bikini’ in orange from BOOM. Cool is, you can either buy the whole bikini, or just the top or the bottom and a LOLA Tango Applier is sold seperately as well. I think I will look hawt on the beach with this! For those wondering about the little boat I am posing in front of…I was in awe and fell in love with it and then did a ‘awwwwwwww’ when I saw it on display in the stand of Motor Loon! 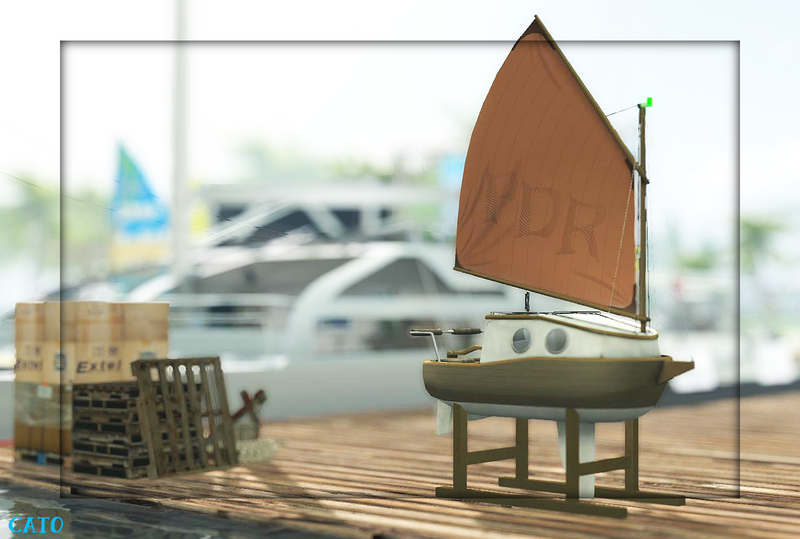 This adorable little boat is a preview of Motor Loon, as it is still in project phase and it is not for sale yet, so no price given! But wow, I think this will be a hit, as the information on the poster promised it will be fully operational as a lil yacht and will have room for two! Now how cute it this then! Next Post Lopen op het water…. Thank you for such a great post and pictures, Caitlin!! 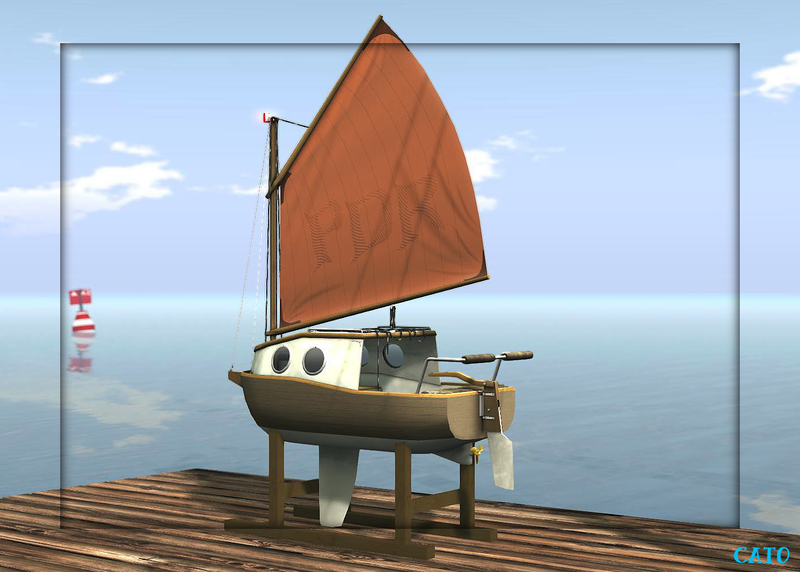 I am in love with that boat too! I hope it comes out soon! I am so glad you made it to the expo! !